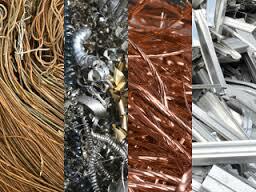 There are a wide range of scrap metals you can recycle. But did you know that all of them can be categorised into two subsets? A typical scrap yard will accept all kinds of metals which are then processed to manufacture a whole new range of items. On the other hand, some scrap metal yards accept only a certain category of scrap metals. In any case, it is important that you know the categories in which the recyclable scrap metals are split into to get optimal price for your scrap metals. Non-ferrous – Let’s first talk about the non-ferrous category. The scrap metals that fall in this category feature those other than steel and iron. A few examples include brass, copper, aluminum (which include cans and foil paper), nickel, and zinc. Ferrous – As we discussed above, iron and steel fall into this category known as ferrous metals. Ferrous metals form a significant part of elements like appliances, railroad tracks, (food packaging contains mostly aluminium not ferrous and ships. In everyday life, you can easily identify certain metals which you don’t use anymore and they eventually land in the landfill. But what if you could earn money recycling them at a scrap metal yard? Apart from that, you contribute to the welfare of environment by not letting the harmful metals come in contact with land or water and polluting such vital life-giving resources. We are a renowned metal scrap company in Dubai dealing in recycling of many ferrous and non-ferrous metals. Disclaimer:This article(s) has been prepared solely for information purposes, using publicly-accessible sources that are believed to be accurate and reliable at the time of publishing. LUCKY GROUP accepts no liability whatsoever for any loss or damage resulting from the use of information, images or opinions expressed in the report. LUCKY GROUP does not give warranty of any kind regarding the completeness, accuracy and reliability of the information included in the article(s). People acquire scrap metal for many reasons. Some find it fun and exciting while some collect scrap metals to earn. Collecting scrap metals in an unprofessional manner can lead to serious consequences. Careful handling is important when dealing with scrap metals, but how? Read on to discover some vital tips to collect or move scrap metals without hassles. How to prevent accidents and injuries? Scrap metal collecting and recycling gives you decent profits but in the process can also cause injuries if dealt with precariously. For example, ensure that your cargo is perfectly fastened to be moved securely without causing any traffic accidents or property damage. Precarious handling of scrap metal can lead to injuries. 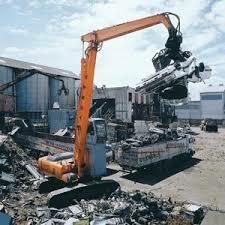 You can avoid them by following vital tips while lifting heavy scrap metal. Identifying and sorting scrap metals will often make you bend. It is better if you can lift and bend with your knees down. In this way, your back muscles are not strained reducing the impending back pain and other orthopaedic injuries that may follow. When the load is too heavy, don’t force yourself. Share the load if you can with another person. If that is not possible, use a dolly to ease the process of lifting and transporting heavy scrap metal objects. While moving, especially heavy scrap metal objects, ensure your load is fastened with utmost care and protection. You don’t want them to fall off. Use premium cargo nets, tarps, and ratchet straps for robust tie downs and efficient transportation. Lucky Group is a renowned company dealing in scrap metals in Doha.